This is a guide to help get you on the path to building a survival kit. It is not a universal kit for everyone and every situation. Try keeping in mind the kit itself should be modified to suit your own needs, along with geographic location, amount of time you plan on spending in said location, and factoring in the weight for transportation of the materials. The first part of this article looks over basic ideas, things to consider, and types of basic preparation you might need before going out on a camping or hunting trip. The first step in building your own survival kit is to prepare a list of items you need to acquire by laying out all of the items you currently have and plan to take with you. It's necessary to plan for expected scenarios before you leave to help get a general idea of the types of supplies you will need to pack and time frame the supplies will last, compared to how long you might think you'll have to endure a tough situation. If your supplies don't add up to the amount of time you might be stuck somewhere then you might need to alter the amount of items you are planning to bring along with you. 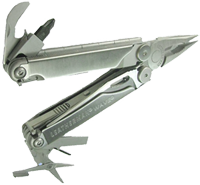 After you've made your list, you can then determine what size of case is necessary to build your survival kit, and if you need more than one kit. Keep in mind the geography, weather, and types of resources available to you once you're out on your adventure. Depending on whether you plan on traveling to a desert, forest, plains, or mountain terrain could help determine what types of supplies you will need. For example, a desert climate will require more water; the same as a cold weather climate, because the body expends more energy trying to keep its temperature regulated. Taking into account incidents such as the amount of time it might take to leave the location if your vehicle breaks down, or how long it might take to hike out of dense forest terrain if someone gets injured could give you an idea of how much water supplies you will need to bring. If you can't carry extra water into an area, then it is important to make sure to take a long enough supply of water resource items. Some items to consider are electrolyte tablets, matches or a fire kit to boil water sources, liquid iodine 2%, or charcoal filter purification kits that will help ensure survival if you get stuck out in the environment. When preparing to make your own kit you need to determine the size of case you will need, and if you need to bring more than one case. In some instances people might want to pack a large case to keep at their camp, and a smaller backpack sized or pocket sized case for carrying around while you hike, hunt, or fish or the day. Are they water proof and impact resistant cases? A clear case might be good for being able to grab stuff quickly or taking as a waterproof pocket case. 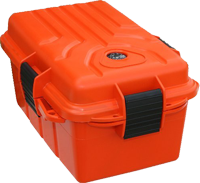 A hard case might be good for a larger set-up at a camp ground that stays there while you are out fishing for the day. Tin cases can be used to store items and boil water if you need to find a drinking source later on. Bags are good to carry medical supplies, prescriptions, and water in. Most outdoor stores should sell water backpacks that can carry around 1 liter of water for use while walking around. Laying out everything you have in advance and creating a list will help keep things organized for future reference in case of an emergency. 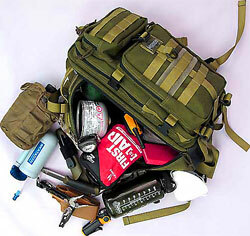 A survival kit that fits into a pocket might not need organization as much as a larger one that you fit on the back of a all terrain vehicle or car that you're taking camping. It's still good to inventory everything you have before you leave and if you have a large container it even helps to create a list with numbers taped to each pocket or drawer of your container for future reference in case you need to get something at night. 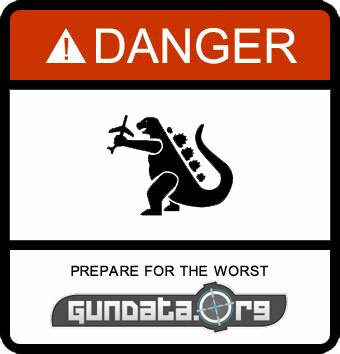 People tend to plan for the unexpected worst case scenario when they should be planning for the expected worst case scenario. An example of planning for an expected scenario is when a person gets up and gets ready to go to work in the morning. After getting in their car they plan on making it from point A to B without a hitch, but they also keep a spare tire and tools to change out a tire in case they get a flat. People should also consider the types of danger they'll be going into when building a survival kit. A person going hunting might want to plan for being accidently shot or getting shrapnel imbedded into his tissue. That would make them want to pack more heavily on a first aid kit supplies and medical materials. A person going for a day hike might want to bring calamine lotion or antihistamines along with them, if the area they're visiting is known to have a high concentration of bugs and poisonous plants. Doing basic preparation is more important than planning for a specific event to occur. Trying to guess what type of event might happen isn't as important as having a set of survival skills and the tools to employ them. Teach yourself to be self-sufficient and supply your own materials for what you think would be necessary for the area you are going to visit. It is also important to remember that you want to pack as much stuff as possible to make an emergency helpful, but also consider how much you can actually carry for a manageable load. Eventually packing to much stuff can be more of a cumbersome burden than actually helpful to a person's survival. Taking the time to teach yourself some basic primitive living skills will also help aide in making sure you can stay as fit and healthy as possible if you do end up getting yourself in a bad situation. Some things to consider would be being able to build a fire with a signal mirror and sunlight or gathering sticks tender to make a hand drill fire. The importance of this is the reality that fire provides warmth, decontaminates water through boiling, can be used as a signal for rescue crews, and can ward off predators.